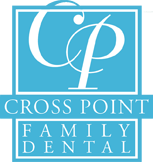 At Crosspoint Family Dental, we offer a unique approach to dentistry as the leading family dentist serving Westford, MA and beyond. Our family dentists offer a full range of dental services including cosmetic, restorative and general dentistry. Your smile is our top priority. When you visit our dental practice, you will have more than 60 years of combined dental experience. Dr. Peysakhov and Dr. Turkenich have put together a trained and knowledgeable staff to keep you at ease during any procedure. Crosspoint Family Dental is proud to offer you and your family excellent customer service and premier dental care. Call us today to set up an appointment to see one of our family dentists, Dr. Peysahkov and Dr. Turkenich. To learn more about our family dentist in the Westford, MA area, please call (978) 459-6467 or email crosspointdental@comcast.net.